Integration PaaS needs to go beyond basic application and data integration to address the full capabilities of cloud data management. 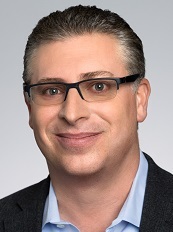 Ronen Schwartz is Senior VP and GM, Data Integration and Cloud Integration for Informatica. Cloud computing promised to vastly simplify how organizations managed and accessed applications, data, and infrastructure when it first emerged two decades ago. Cloud was the golden ticket to not only simplicity, but lowered costs and increased agility. But a funny thing happened on the way to the cloud—we stumbled into a hybrid world of multi-cloud, on-premises, and big data solutions. The promise of cloud met the reality of increased complexity. And the new reality resulted in a data management challenge, with information living in multiple IaaS, PaaS, and SaaS clouds as organizations grappled over “choosing the right cloud for the job.” AWS in one case; Microsoft Azure in another; Google Cloud a third option, and Salesforce a fourth, and so on—with data scattered across all of them. Public and private clouds, and analytics clouds such as Google BigQuery, Amazon Redshift, and Snowflake Elastic Data Warehouse, add to the complexity of multi-cloud and data management challenge. And multi-cloud complexity will rise as organizations continue to rapidly adopt cloud services. For instance, Gartner, Inc., predicts that worldwide public cloud service revenue will reach $302.5 billion by 2021—nearly doubling from its 2017 total. Meanwhile, nine of 10 companies will have at least some applications or infrastructure in the cloud by 2019, the 2018 IDG Global Cloud Computing Study finds. Yet mission-critical on-premises systems will remain in place for the foreseeable future, and they need to interoperate with those in the cloud to exchange data and support process automation. Cloud-first organizations may have their heads in the cloud, but will have one foot planted on-premises for many years to come. How can we ensure interoperability across diverse IT landscapes? How can we deliver a clean, consistent, complete, and trusted view of data across all applications? How do we effectively detect and protect sensitive information? How can we make data unified, accessible, and actionable when it exists in a hybrid multi-cloud environment? Risks to business and IT escalate as data multiplies in hybrid multi-cloud environments. Without a holistic, well-governed approach, organizations face complications in use cases such as business analytics and customer experience management (CXM). Customer relationship management (CRM) systems came to age in the early 1990s to manage not the customer relationship, but to manage the business operations related to the customer. Designed to capture and interpret customer data, both structured and unstructured, CRM systems have enabled companies for more than two decades to capture, keep, and analyze the data about the customer so that insights can lead to a better engagement. However, CRM systems alone can offer a false sense of security, as they promise to deliver great customer experience, but often lack a clean, consistent, complete, and trusted view of customers, which is magnified in a multi-cloud environment. Fast forward to today, CRM has morphed into a new discipline we call CXM with more specialized additions such as algorithms for determining the “best next action” that can deliver remarkable results in customer engagement, revenue, and loyalty. To do CXM right requires seamless interoperability, data governance, and data exchange, especially if a marketing application lives in one cloud, a CRM system in another; while a BI tool and data warehouse in a third cloud, and ERP application remain on-premises. With this degree of fragmentation, it becomes more difficult to achieve the 360-degree customer view that sales and marketing teams need to understand customers, anticipate their needs, and engage with relevant, timely interactions over the right channel. Traditional and limited integration techniques with APIs, manual coding, and application-centric tools aren’t well suited to solve data management issues in hybrid multi-cloud environments. Leading organizations across industries are taking a next-generation approach. One example is Genomic Health, a Silicon Valley-based provider of genomic-based diagnostic tests that help optimize cancer care. Genomic Health uses intelligent hybrid data management across diverse systems that include cloud-based Salesforce and on-premises applications that house large volumes of sensitive patient, physician, clinical, and other information. Intelligent hybrid data management is especially important for growing, cloud-first global companies like Genomic Health, whose gene expression tests have helped guide treatment decisions for more than 900,000 cancer patients worldwide. It also supports Genomic Health’s initiatives to add new lines of business, better understand and engage physicians, and expand internationally, all while maintaining regulatory compliance. In a cloud-first world, a cloud-based integration PaaS is a natural fit to address integration challenges in hybrid multi-cloud environments. Data quality. Ensures data accuracy, eliminates duplicates, and continuously corrects issues to ensure the business has trusted and contextualized information. Master data management. Delivers a 360-degree view of data on business entities (e.g., customer, supplier, partner) across all data sources, including transaction and interaction data. Data privacy and protection. Helps identify sensitive data quickly, remediate issues with AI-driven recommendations, and comply with regulations and data security policies. Without these capabilities, organizations are left with data weaknesses that can subvert business objectives. And they’re ill equipped to deal with continued change as technologies like IoT, AI, Blockchain, cryptocurrency, and others mature. The opportunity here is to introduce data management that is built on a metadata-driven artificial intelligence foundation, across your hybrid multi-cloud environment to combat complexity and ensure that data is complete, accurate, and up to date. This pays off immediately in better customer relationships, informed decision-making, and operational efficiency. Moreover, it future-proofs your data management practice with adaptability for the next wave of IT disruption. In the end, the golden ticket might not be as straightforward as choosing the right cloud for the job, but with intelligent hybrid data management you can pave the way to success.